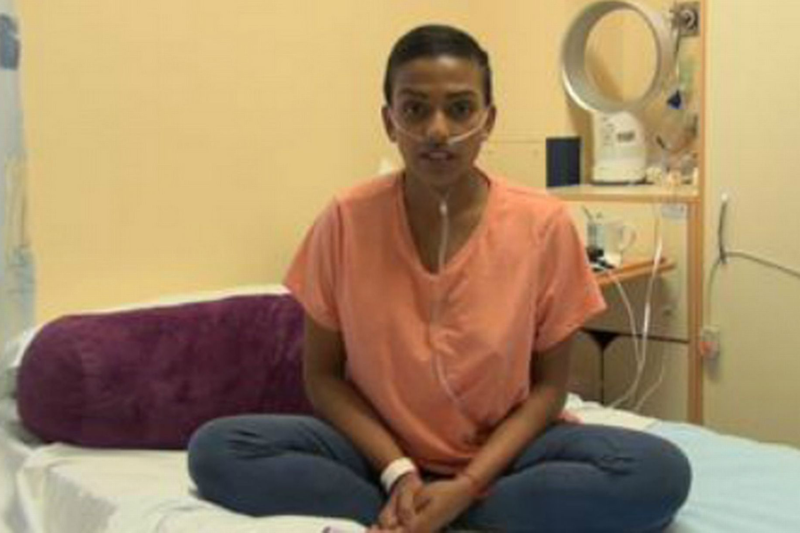 Brave cancer patient Ulrika Dandekar, who spent her last days campaigning for stem cell donors, died early today aged just 21. Her mum Dr Ursula Bahalkar paid an emotional tribute to her "beautiful butterfly". She said: "Her legacy, we hope, will have been to raise awareness of how simple, quick and painless it is to register online and potentially save a life. "I want everyone out there to register in her memory - it is a New Year resolution that everyone can keep." Just four days ago the Solihull student, known as Riya, made fresh calls from her hospice bed for more stem cell donors in a selfless bid to save others. Earlier this year, she inspired a huge increase in the number of Asian people joining the Anthony Nolan charity's bone marrow register. Her family also launched the 'Save Riya Now' campaign on social media. She died just before 2am at Solihull's Marie Curie Hospice, surrounded by her loved ones, including dad Dr Uday Dandekar and stepfather Dr Pradeep Bahalkar. "Her older brother Utkarsh and I were by her side through the evening," Ursula said. "She was very weak but was able to ask for her dad and step-dad. "Within minutes of them arriving she took her last breath. "It was as though she waited to say goodbye to them." She said Riya was "like a mother" to her half-brothers Jai, nine, and Yash, eight and "touched the lives of so many people". Ursula added: "People are saying how sorry they are. "But we are saying don't be sorry, she's not in pain anymore, she is at peace. "The main thing is we were able to say our goodbyes to her. "She was only 21 but was an extraordinary young woman. "She taught us so much about living, about being brave, kind and strong. "She never complained or wallowed in self-pity - we found that incredible." Dr Bahalkar said her daughter spent her final months in hospital caring for fellow patients. "I would visit her and find her not in her bed, instead on other wards, reading someone a newspaper, playing cards with them or just talking to them, holding their hands," she added. "She loved butterflies and she was like a butterfly, she showed us her beauty." Riya was diagnosed with anaplastic lymphoma a few days before her 21st birthday in March. In November she was told her blood cancer was incurable. A potential bone marrow donor was identified in the US but she was not well enough for a transplant. Days before she died, Riya said: "My biggest wish is that every adult, who is medically fit and able, registers as a potential bone marrow donor. "Every 20 minutes, someone in the UK is diagnosed with blood cancer and for many, a stem cell or bone marrow transplant is their only hope. "Every week a new campaign, a new appeal, is made. "All these appeals are for the same thing - to encourage more people to come forward and join the register." 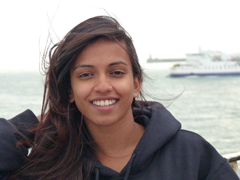 Riya's proud family plan to keep her memory alive with an awareness-raising website in her name in the New Year. An Anthony Nolan spokesman said: "We're so sad to hear of the death of Riya Dandekar this morning - such a brave, bright and beautiful young woman. "I can't emphasise enough how easy it is to join the register and, if you're one of the privileged people to come up as a match, to donate your stem cells. For the donor, it is a simple act - but for someone like Riya, it means absolutely everything." Anyone aged 16 to 30 can join the Anthony Nolan register at www.anthonynolan.org. * You can also give a mouth swab if you are aged between 18-55 to Delete Blood Cancer, by calling 0203 1767620.